Well, as I always say at this point, I cannot believe that we are again nearly at the end of another academic year. As I always say, I know how busy everyone is, so please feel free to read just the sections that are of interest to you or read everything; the choice is always yours. You can also easily share this update with others (please only do so if it may be relevant to them) by using one of the icons usually to the right or at the bottom of this page, or on our 'SEN.fyi' App ​(by using the ‘share’ feature at the bottom of the page). Hopefully, we are now really there, as the legal requirement to transfer Statements of SEN to Education, Health & Care (EHC) Plans was supposed to be by 1 April 2018. Although I know that there were still some Statements to be transferred at the time of my last update (which was released at the beginning of the Summer term), I am optimistic that everything has been completed by now. If you read my Update previously at about this time last year, you will know that I like to share the annual statistics used about EHC Plans/Statements in England issued by the Department for Education (DfE). The last version of this was issued on their website at the end of May 2018 and there are a number of different versions that you can find here. It is based on the statutory SEN2 data collection. 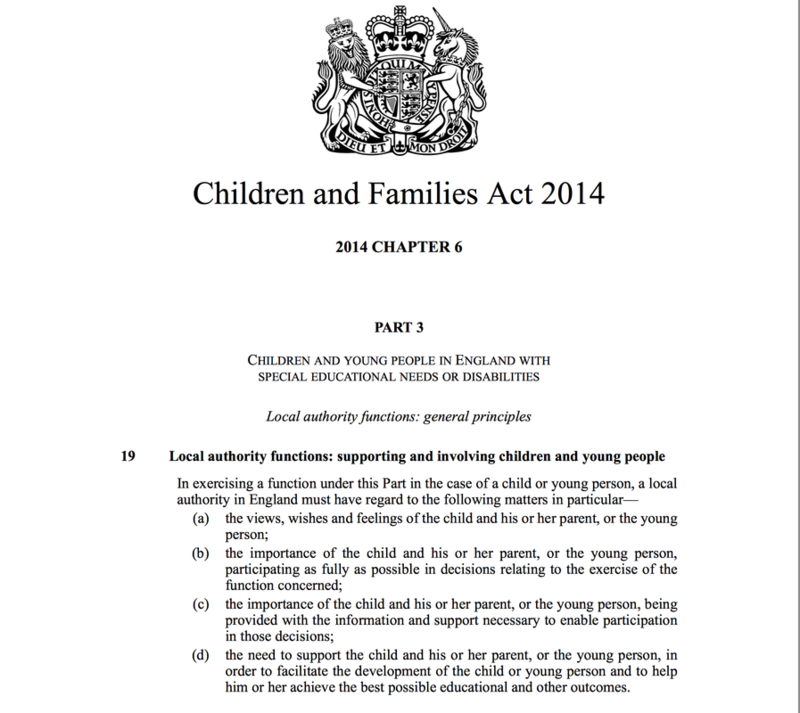 There were 285,722 children and young people with statutory Education, Health and Care (EHC) plans and 34,097 children and young people with statements of special educational needs (SEN) maintained by local authorities as at January 2018. This gives a total of 319,819, an increase of 32,529 (11.3%) from 287,290 as at January 2017. This is driven by large increases in the 16-19 and 20-25 age groups. There were 42,162 children and young people with new EHC plans made during the 2017 calendar year. The number of children and young people with new EHC plans made during the 2017 calendar year has seen an increase of 6,068 (16.8%) when compared against the number of children and young people with new EHC plans made during 2016. Between January 2017 and January 2018, there were 71,320 children and young people transferred from statements to EHC plans. This is equivalent to 63.6% of the children and young people with statements that were in place as at January 2017. As per usual, the DfE documents go into a lot more detail and there are also some visual representations and more breakdowns on what they have but, unless you work within this area and need this information for work or for academic purposes, you will probably just want the headline information that I have quoted above. The main thing you will note, of course, is that there has been quite a sizeable increase over the course of 2017 of children and young people with EHC plans and Statements of SEN.
As I say above, hopefully, there are now no Statements of SEN left to transfer to EHC plans, but looking through the visual representations used by the DfE it seems clear to me that, from 2009 to 2014, there seemed to be a fairly steady number of Statements and EHC plans, whereas, since 2015, there seems to be an ever increasing number of EHC plans and Statements every year. I therefore wonder whether this has been the opposite to what was expected (as I understood it, the original plan was for more children and young people to have their SEN met without and EHC plan?). Hopefully, we will not see another significant increase when the yearly SEN statistics are produced again by the DfE at the end of May 2019, which I will, hopefully, try again to bring you. Before I finish this section, I also wish to highlight the fact that there also seemed to be a considerable amount of Statements of SEN being transferred to EHC plans during 2017 (nearly 64%) and I wonder whether this was the main year for transfers or whether we will see a large number again for 2018. I guess that we will have to just wait and see, but I think that now EHC plans are finally in place and some might say that we are now at the end, but I wonder if we are now really just at the beginning and perhaps the real work starts now? 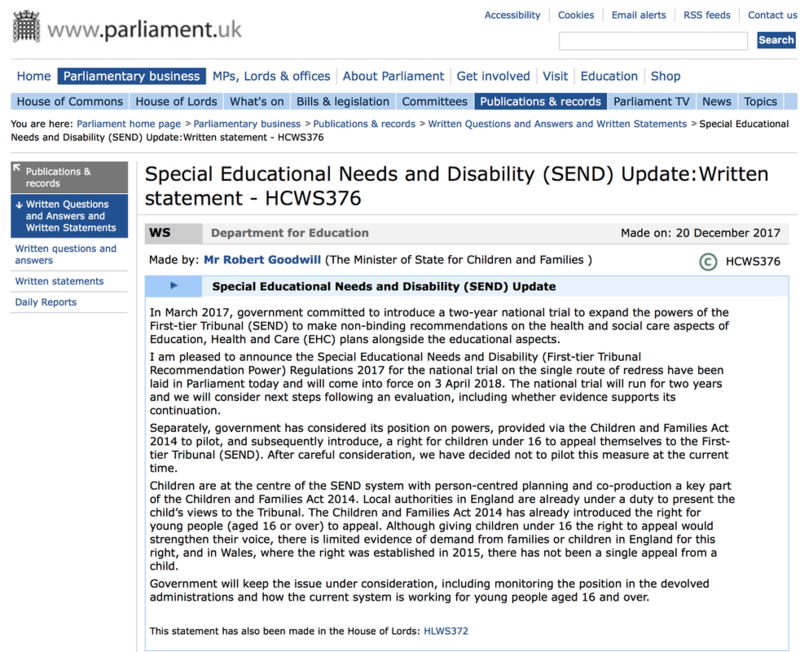 Coincidentally, the (Parliamentary) Education Committee recently launched an inquiry into the new SEND framework, the deadline for which to receive written submissions is imminent on Thursday 14 June 2018. There is a more detailed terms of reference that you can see here, which I encourage you to read if you wish to submit anything (remember, the deadline for submitting written submissions is Thursday 14th June 2018). ​There is also a helpful video in British Sign Language (BSL), which you may find helpful as well, as it neatly summarises what the inquiry is about (do not worry if you don’t speak BSL, as the video also has subtitles that you can read). 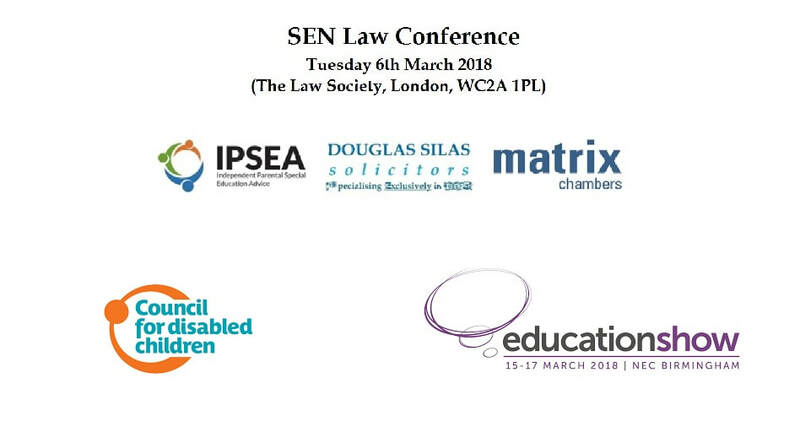 You may recall that in my Summer Term SEN Update, I gave a summary of what most of the speakers had said at the SEN Law Conference held at the beginning of March 2018, but I also said that I would dedicate a whole section of my next Update to what Mick King, the Local Government and Social Care Ombudsman (LGSCO) had said, as I found his talk very enlightening. Mick started by outlining the role of the LGSCO (i.e. with sections about ‘who we are’, ‘what we do’ and ‘how we do it’). He also looked at the role of the LGSCO in SEN complaints. We were then given a typical case example, before he looked at themes and trends in SEN casework and finally looking at the future and what lies ahead. Mick said that the LGSCO had twin aims, to remedy injustice and also to help to improve services (both of which supported public accountability). 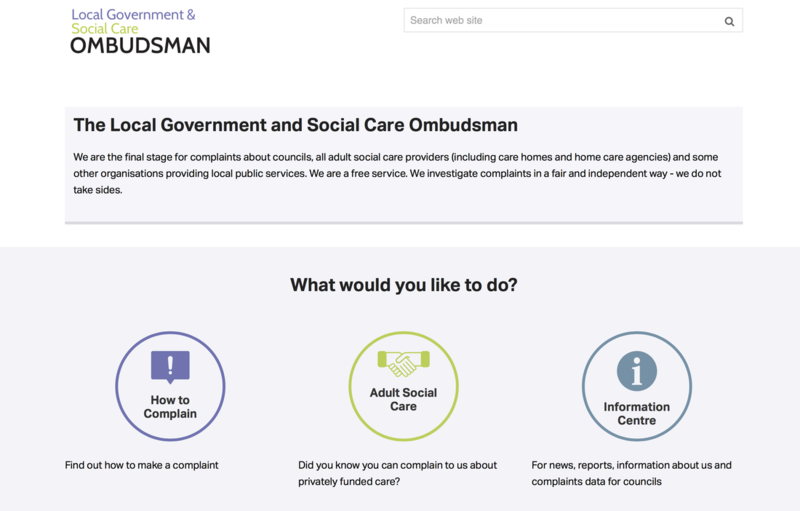 He pointed out that the LGSCO service was free to use and a complaint could be made by phone or online. He said that the LGSCO could look into all local government decisions, as well as decisions by other bodies (such as Admissions Authorities) and all social care decisions (both in the public and private sectors). Mick explained that the LGSCO was impartial, quasi-judicial, (e.g. they had the powers of the High Court), that they were inquisitorial, that they were independent of Government, that they had the power to extend their investigations and that their findings were binding and could only be challenged in the courts through the Judicial Review (JR) process. Mick pointed out that remedies could include both personal things (such as an apology, a formal decision, the provision of funding for a service and financial payment/reimbursement). He also said that investigations could lead to service improvement (i.e. improving procedures or training of staff) and highlighted that there were wider learning possibilities, where things were in the public interest and sometimes they would focus their reports thematically and work in conjunction with Ofsted. He added that they would publish (almost) all of their decisions on their website at www.LGO.org.uk/decisions. Mick finished by looking ahead and pointed out that there were increasing pressures on children’s services (but that the LGSCO make their judgements based on law, guidance and rights, not budgets). He also referred to the (then forthcoming) National Trial in the SEND Tribunal (which I spoke about in my last Update), making recommendations about health and care provision, as well as educational provision, including the need for more joint working with the Parliamentary Health Service Ombudsman (PHSO) and the (then impending) deadline for transfer of Statements to EHC Plans, saying that maintaining provision is key. It was very interesting for me to learn that, out of all the 19,000 complaints that they received in 2016/17, 17% of them were in relation to Education and Children’s Services (such as SEN, Children’s care, safeguarding, school transport, admissions and exclusions). It seems to me that the LGSCO may not be as well known about, as he/it should be. The Autism Show 2018 at Excel, London on 15-16 June 2018; at the NEC, Birmingham on 22-23 June 2018; and at EventCity, Manchester, on 29-30 June 2018. As I run a national practice and represent parents of children and young people themselves with SEN, I find that I often have to travel around the country for hearings. I usually stay in a standard Travelodge or Premier Inn and book into a ‘disability’ room, as I know from experience that these are standardised and larger for me to move around in my wheelchair, as well as meeting other disability-friendly accessibility requirements. However, once in a while, I need to travel abroad by myself and book into a more standard hotel, but again in a ‘disability’ room. Please believe me when I say that there is definitely no standard form of what a ‘disability’ room means in some countries and I have stayed in hotels in some countries where things are really accessible and well thought out, but I have also stayed in some real ‘dives’ where their idea of a ‘disability’ room is really nothing more than sticking up a grab rail in the bathroom! But the story that I want to share with you in this Update is when I found myself booked into a ‘boutique’ hotel (in their supposed ‘disability’ room). I won’t bore you by telling you everything that I found challenging, but although my room looked lovely when the porter opened the door for me (I needed help to bring my bag to the room), I immediately saw that there was no room in it for me to move about in my wheelchair. Fortunately, the porter immediately apologised and said he would take a large table and chairs out of the room. 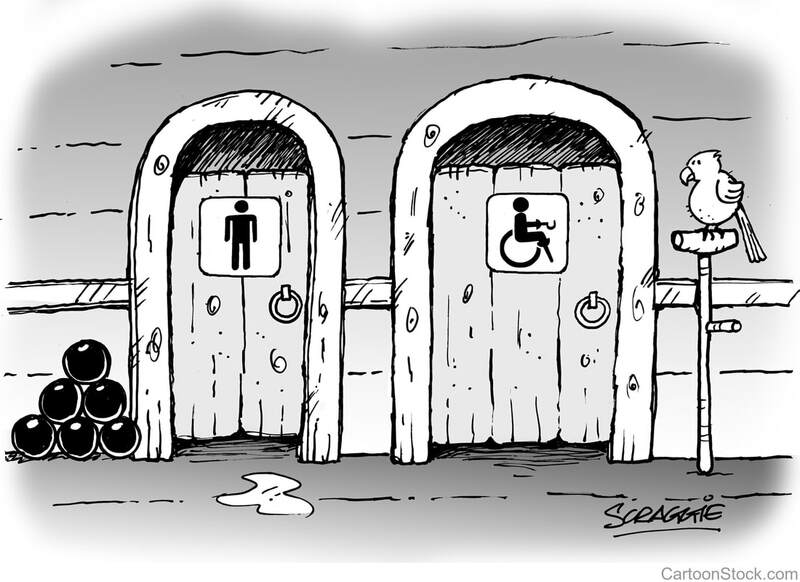 But after he left and I then went to use the bathroom, I found that I could not really get into it in my wheelchair. After spending some time carefully manually manoeuvring myself around, I just managed to get in, but then found that the bathroom mirror had been put up too high for me to see myself in whilst sitting in my wheelchair and when I then went to have a shower to freshen up, I found that the towels had been folded and placed too high on a rail for me to be able to reach. I therefore had to ring reception (who apologised again) to get someone to come to get the towels down for me. I then found that the shower did not have sufficient rails for me to hold onto for me to have a shower in safely (I was already quite tired, as I had been travelling all day and realised that I was by myself in a room where there was no emergency cord for me to call someone to help me, in case I slipped and fell (I will tell you another story about when this actually happened to me, in a future update). I went to bed and got up in the morning, feeling a lot fresher after a good night’s sleep. I managed to get into the bathroom, got dressed and went to breakfast, which I knew was served in a room on the roof. Imagine my surprise and disappointment though, to then find that the lift only took me to the floor one level below the roof and that there was a set of stairs for me to then negotiate to get me to the room serving breakfast. I therefore had to get back in the lift and go down to reception personally (where I received another apology) who then arranged for me to have breakfast sent up to my room, to which I had to return to. ​And all of these same things happened to me again for the next two days. That’s not how it’s meant to be!